1989. When Louise first notices the new girl who has mysteriously transferred late into their senior year, Maria seems to be everything Louise’s other friends aren’t. Authentic. Funny. Brash. Within just a few days, Maria and Louise are on their way to becoming fast friends. 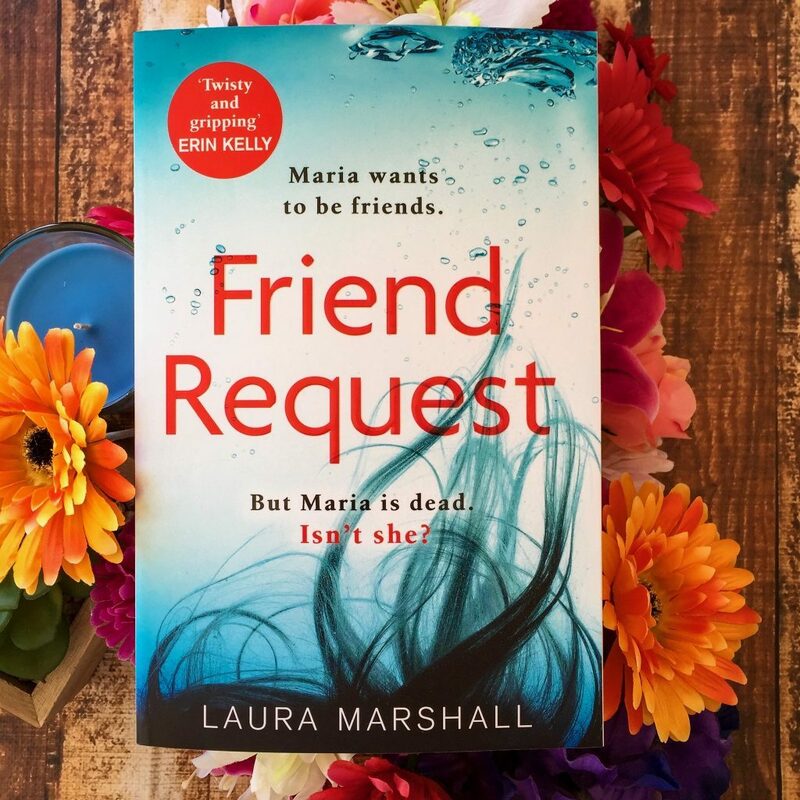 Friend Request is Laura Marshall’s debut psychological thriller — it’s told in dual timelines and switches back and forth between 1989 and 2016. In the present, Louise receives a friend request on Facebook from Maria Weston, a high school classmate who died twenty-five years ago (although her body was never found). Louise is shook, but she’s also feeling deeply guilty because of things that transpired in high school in 1989. The reader learns early on that Louise didn’t treat Maria well in school, and more importantly, Louise feels responsible for Maria’s death. Louise is a single mother to four-year-old Henry; she was married to her high school classmate Sam, but the two split up when Henry was two and now Sam is remarried with a new child. Things seem tense between the two, and Louise is trying to keep the relationship as pleasant as possible, but deep down she is still hurt that Sam cheated on her and then left her for the woman he was having an affair with. This book feels very current because of how dominant social media is to the storyline. I mean, don’t get me wrong, the premise is quite absurd, but it’s still a good read. It’s still thrilling and an absolute page-turner. I really thought I had a solid theory about the ending of the book, but I was completely wrong. I was actually genuinely surprised by the twist at the end, and in some reviews people say they saw it coming, but I definitely didn’t. There is one thing about this novel that I didn’t particularly enjoy. Every so often, there’s a chapter in the book written in italics. It’s unclear whose point of view these chapters are written from, but there’s definitely an ominous danger to them. You feel like these chapters are key to the twist at the end of the book, but you can’t quite grasp the answer. After I’d finished reading the novel, I went back and re-read these particular chapters and thought that they probably weren’t needed. I could certainly see some hints dropped in, but I felt like those italic chapters detracted from the plot and stalled the story too much. Friend Request illustrates to readers that we are actually really vulnerable online. 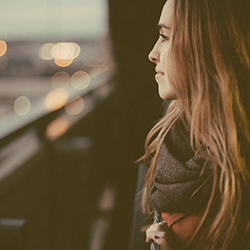 We post all about our lives, and we allow people to see things about us that we may not choose to tell them in an everyday face to face setting. This is a chilling, engaging read but it’s also a social commentary on how much we expose ourselves online to strangers. I’d recommend this to crime fiction fans and also anyone who has an online presence. Readers who don’t have social media may not understand some of the references, but the underlying plot of this book is the disappearance and (presumed) death of Maria Weston and I think most readers will enjoy playing the guessing game.